Here we are, another week. This week was a pretty office heavy week, with more changes and such. Always a work in progress, but that is what the gospel is all about. Time seems to be flying, and I can't believe we're already coming up on transfers again. We've been able to have some great lessons again this week. I got caught in the office a little more with some urgent financial matters, and I sadly wasn't able to get out as much as I had hoped, so my companion did a lot of divisions to be able to cover the lessons. The best lesson was with Mxxx and Dxxx, our main progressing investigators. 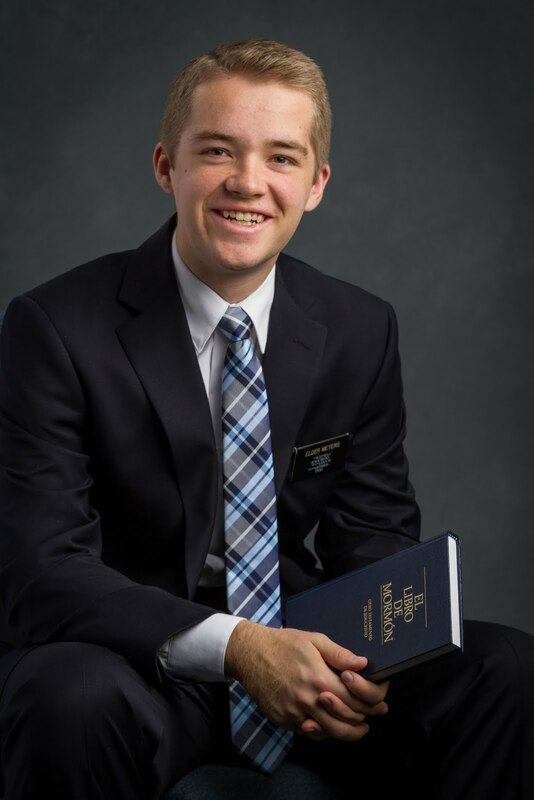 We had taught them a quick version of the Restauration before, but we decided to re-teach the Restauration as a full length lesson, and really get into the why of the church, and how we can receive a personal testimony of the Restauration, Joseph Smith, the Book of Mormon, and the gospel of Jesus Christ. Present in the lesson were Mxxx and Dxxx, Dxxx's mom (non member), Dxxx's mom's friend (non member), Axxx (daughter), Axxx (boyfriend of Axxx), Hna Dxxx (Dxxx's aunt, member), and Sxxx (Hna Dxxx's son, about 10 yrs). It was a powerful lesson, and Dxxx, her mom, and Hna Dxxx all teared up at different points during the lesson. Dxxx told us that she already knows that this is the true church, and that she has received a witness. Mxxx wants an answer, but he still doesn't feel that he has received it yet. He wants to keep going to church for a little while before making that commitment. He wants to be sure, so that if he's in, he's in for good. They are all awesome, and I love them so much. I really hope that they will come to the point where they are ready to be baptized together. They came to church again this last week, and told us that they want to come again this week. We are hoping to prepare them for General Conference so that especially Mxxx can feel an answer. Other than that, continuing with the changes implemented last week, getting everything all set as we head into the new transfer in a week. So important to be organized in all things, and to learn how to use time wisely. I've learned that over and over again in my time here in the office. If I don't manage my time well, I never am able to do all the things I want or even need to do. As my Dad always taught me, the best way to do it is to do "first things first". We have to choose the most important things, and put them as our priorities, the most important things being things such as reading your scriptures, praying, serving others, etc. When we put God first, He can bless us so much more. Eating lunch with our investigators this week. They are all so awesome! So, we might have accidentally broken the mirror on the mission truck this week...Luckily it wasn't too expensive to fix, but in the meantime, we had to tape it all up so that the mirror didn't fall off. Presidente Perez asked me and Elder Llanos to accompany a member to Walmart this week so that she could buy all of the cleaning supplies for the mission home (she works cleaning the mission home), and we went with her and two of her daughters, and one of her daughters found this giant teddy bear, and she was just hugging it and was so happy, and it was too cute not to take a picture.